Microsoft PowerPoint 2010 is part of Microsoft Office suite which has been designed for slides presentation. As an effort for users to create attractive and professional PowerPoint presentations, Microsoft has provided quite a few PowerPoint presentation templates for easy download within Microsoft PowerPoint. 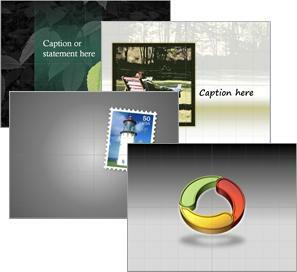 As an alternative, the users also can download these high-quality PowerPoint presentation templates for free at Office.com to computer and use them in their own presentations. Example slide effects with instructions. Microsoft Office 2007 training presentations. Microsoft Office 2003 training presentations. Visit to browse available templates. Click the template that you want and then click Download. In the Save As dialog box, navigate to the location where you want to save the templates and then click Save. After the template is completely downloaded, opens it in PowerPoint.